Ant Man and the Wasp is the most recent addition to the Marvel Cinematic Universe, and, in my opinion, one of the best. The events of the movie take place while the rest of our favorite superheroes fight off our least favorite raisin-head, the Titan Thanos. So let’s take a look at the pros and cons of this sizable movie. Serious recognition needs to be given to the casting of this movie. With a Marvel movie, we’ve come to expect nothing less than perfection, and that is what the casting agent for Ant Man and the Wasp gave us. Paul Rudd does fantastically, and possibly plays Michelle Pfeiffer better than Michelle Pfeiffer does. 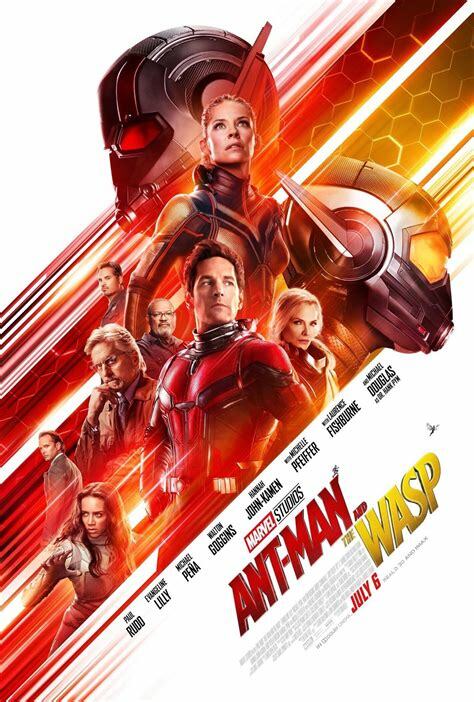 Evangeline Lilly gets her chance to shine as the Wasp, and Michael Douglas plays Hank Pym with an endearingly perfect blend of tough guy and loving family man. Finally, the supporting cast of Michael Pena, Hannah John-Kamen, Tip “T.I.” Harris boost the movie to a grade A+. The next big props goes to the balance of the movie. If you like superhero movies or Marvel movies, obviously Ant Man and the Wasp fits the bill. And if you like romances, comedies, or even movies about family, Ant Man and the Wasp checks all those boxes, too. It really does have a little bit of something for everyone. Another huge success is the visual effects. Serious props to the CGI animators over at Marvel Studios for once again making people defy the laws of physics and look totally normal doing it. The shrinking and growing of Ant Man and the Wasp bring the film to life. The Ghost’s visual effects of her powers are not only impressive, but intriguing to watch as well. Finally, let’s give credit where it’s due to the dynamic duos of the movie. Watching Paul Rudd and Evangeline Lilly work together is just plain fun. They play off of each other so well, and really bring the chemistry when they work together to fight Ghost. But there are also some more subtle dynamic duos that also need to be brought into the light – starting with Scott Lang and his daughter Cassie. One of the opening scenes of the movie is Scott playing with Cassie in a homemade cardboard box maze, complete with traps, slides, and maps. Later in the movie, when Cassie finds out Scott has been playing the Ant Man again, she covers for him when the FBI come looking and encourages him to go help Hank and Hope. And when she asks to be his partner, it awakens in us a deep desire we never knew we had – Cassie would make the best superhero. Like, ever. Similarly, the family dynamic duo of Hank and Hope brought so much love and life to the film. They really portrayed a much more intimate father- daughter relationship compared to the first Ant Man (which was probably helped by the fact that now Hope knows the truth about her mom and they are very close to rescuing her). And ultimately, the one true dynamic duo: Luis and his monologue montages. Enough said. What I really like about Ant Man and the Wasp are some of the hidden morals. First, the parallel conflicts of Hank and Hope trying to rescue their wife and mother Janet, and Scott trying to do what’s right to protect Cassie, really put an emphasis on how important family is. The sacrifices that Hank, Hope, and Scott were willing to make for their families and for each other shows that family comes in all shapes and sizes, but every member is significant. I think that’s essential to remember. The end credits scene tied the movie into the rest of the Marvel Cinematic Universe very nicely, but it still hurt to watch. The entire Pym family dissolving into ash and Scott Lang being trapped in the Quantum Realm are just two more problems that better find solutions in the 4th Avengers. There is also the question of the amount of villains in the story. The Ghost, though definitely a force to conquer, was really just a scared girl who didn’t want to die. Sonny Burch isn’t even mentioned in the trailers, but he was the biggest threat to our favorite supporting characters, which makes him worse than the Ghost in my book. Even the FBI director Jimmy Woo ends up more on my bad side than the Ghost. By the end of the movie, the audience really just hopes that Ava finds a new home and a happy ending,and that the FBI finds new individuals to forever bother. While it seems that there is an overabundance of mildly opposing forces for our heroes, we’ll just call it “villain diversity”. After all, Marvel is leading us towards the biggest threat of all. So that is my take on Marvel’s Ant Man and the Wasp. A very enjoyable, exciting, and humorous movie, and I loved most every moment. This movie was a great sequel to the original. If the next installment in the Ant Man series is simply titled “Luis Gets a Suit and Cassie Becomes a Partner”, Marvel can count me in.